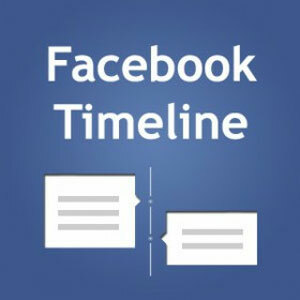 Timeline is much more visual than Facebook pages. Starting with the large cover photo at the top, and continuing through the entire timeline; photos and videos taking up more real estate than in the past. This gives you huge leeway to visually tell your company’s unique story. This is your brand’s equivalent to ‘life events’ on your personal timeline, and will help humanize your business as well as give people a reason to stay on your page and snoop around for interesting tidbits.Create a milestone for when new employees were hired, or when you moved to a new office, etc. Share the key moments in your company’s history. Tabs are back at the top. Remember Facebook pages from two versions ago? Tabs were at the top of the page. Facebook moved them to the left on their latest revamp of pages, and now they’re back at the top for Timeline. The changes to tabs are great for brands – now they’re bigger and more noticeable than ever. Added bonus: you can easily change the icon image whenever you like, as well as move them around and cherry pick which four are featured at the top of the page. No more default landing tab. 1. Yes! Smart move by Facebook. No default landing tab is a good thing because it provides a more uniform experience for people that visit your page, whether they’re fans of your page or not. 2. No! Facebook got rid of one of the best customization features available to brands. The use of fan-gating (or like-gating) was key to enticing people to like my page. We have to say, we take issue with the second half of point number two. The inability to fan-gate any longer should not be lamented. To summarize from this blog post on fan-gating from Social Media Examiner, fans that you have to entice in some way to ‘like’ your brand are less valuable than those that have liked your page without any incentive beyond enjoying your product or service. Not to mention, the existence of fickle fans that like your page only to receive the fan-gated information, and then unlike your page right afterwards. You see this kind of thing frequently with fan-gated contests and promotions. But, back to the topic at hand. We sleuthed the web and found a decent workaround to the loss of the default landing tab. Dontcha love us? It’s not perfect, but if you really want to keep your welcome tab, this would be an option. As to whether or not the default landing tab of Facebook past will be sorely missed, we want to hear from you! Share your opinions below, as well as your thoughts on the new timeline in general. This article was written by Corrie Scott, a graduate of the Sauder School of Business at UBC and the Digital Marketing Manager with Out-Smarts.